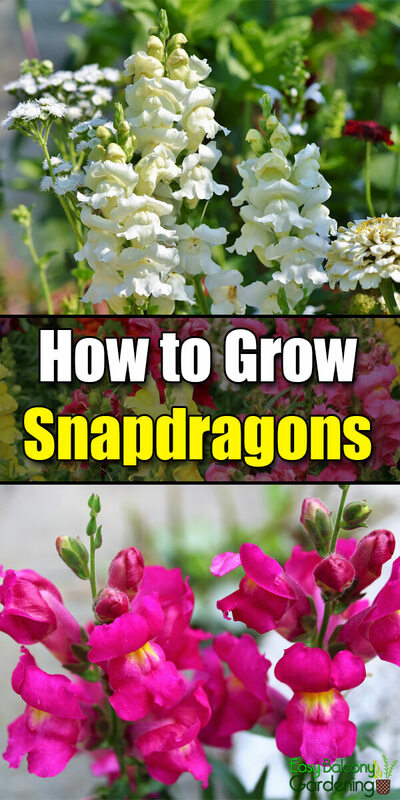 Snapdragons are self-sowing annuals that have tiny blossoms with dragon-like mouth that the children enjoy to open and close. The dwarf varieties can reach up to ten inches and are good for edgings and borders. 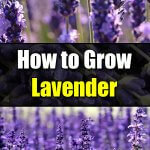 The taller ones grow to about two feet and are good for cut flower arrangements and for planting behind flower borders. A new variety is available that can reach up to five feet, but it needs to be supported. Snapdragons are cold hardy plants that can be planted in all zones. 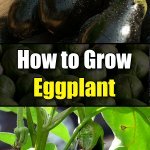 They can stand heavy frost, and are great for container gardening. If deer is one of your problems, planting snapdragons as borders can help repel them. Select a location that is in full sun, with well-drained, rich soil. Add plenty of compost and other organic matter prior to planting, especially if the soil is poor or simply average. Space the tall variety a foot apart, and the dwarf variety six inches apart. For good branching and abundant flower spikes, pinch off the tips of the young plants when they are about four inches tall. Attractive blooms come all spring and in the early summer. Foliage, however, remains attractive through autumn. 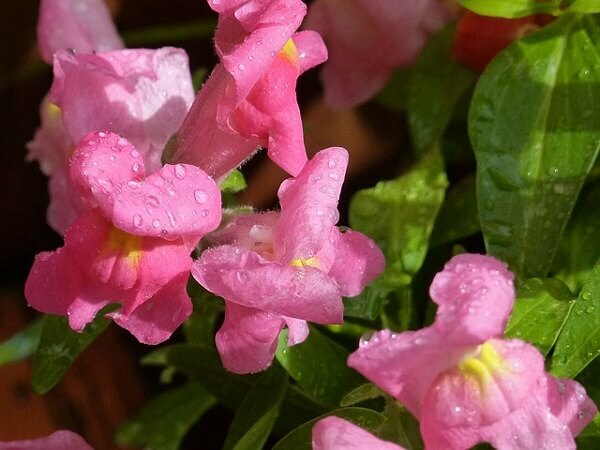 To encourage a second blooming during cooler fall weather, cut back the snapdragon plants to approximately six inches after the first blooms have faded, and then fertilize. If you want self-sown seedlings for the next season, leave a couple or so of flower stalks alone. Snapdragons are self-sowing, but they can also be propagated from the tiny seeds. You may need a heating mat for this latter type of propagation. 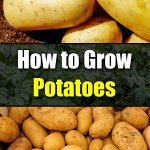 It takes about a month to germinate. For seedlings, remember that those you purchase from garden centers will normally bloom sooner than those you start indoors. Two months before the expected last frost, sow the snapdragon seeds indoors. Wait until the last frost to bring the plants outdoors. Most varieties are early summer bloomers. If you want blooms during cool season, plant in September. 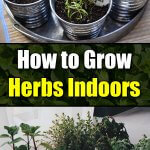 If you live in Zones 8 to 10, you can start your seedlings indoors and move them outdoors any time in the fall. You can then enjoy winter and spring flowering. Proper spacing is always important in planting for adequate air circulation. For snapdragons, particularly, the spacing is an important prevention step against snapdragon rust. Otherwise, pests and diseases can be avoided when treated early. 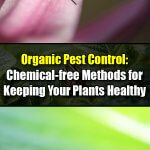 Use organic repellents for pests. All parts of the snapdragon plants are toxic when ingested. If you allow children to play with snapdragons, please supervise them!